Fit Marriage is committed to getting you awesome results using proven systems that enhance your family life instead of competing with it! Fit Marriage is the trusted source for real fitness solutions for real busy couples. This site was founded by two guys who understand the importance of fitness when it comes to enjoying a thriving marriage and family life. 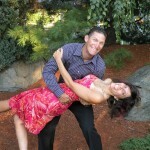 Our paths are quite different, but our passion for helping couples achieve their absolute best in their fitness and overall wellness drew us together to form Fit Marriage. Please take a moment to get to know us through the links above, and please introduce yourself in the comments and let us welcome you to a community we know you’ll love.